I adore this concept design. 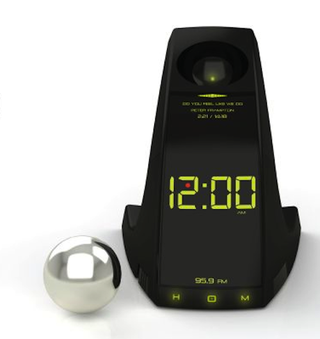 It's basically an alarm clock which flings a ball at your face before going off. In order to make the noise stop, you have to find the ball and put it back where it belongs.